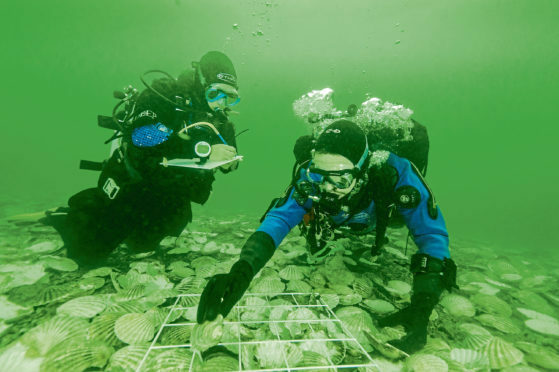 DISTILLERY RECREATES EXTINCT NATIVE OYSTER REEFS IN THE DORNOCH FIRTH, AN ENVIRONMENTAL FIRST. The scheme, run by whisky maker Glenmorangie, with a Scottish university and a marine charity, will see 20 tonnes of waste shell from the scallop and mussel industry placed on the bed of the Dornoch Firth and 20,000 of the molluscs introduced. If successful, the number of native European oysters on nearly 100 acres of reefs under the North Sea inlet will be built up to around four million over the next five years. Glenmorangie, which has operated on the shores of the firth for 175 years, formed the Dornoch Environmental Enhancement Project (DEEP) with Heriot-Watt University and the Marine Conservation Society (MSC) in 2104, with the aim of reintroducing the species to the protected waters. The company has said the scheme will increase biodiversity and act in tandem with the new £5million anaerobic digestion plant at its distillery by Tain to purify the nearby sea of by-products of its distillation process. The latest stage of the project follows a trial last year, when 300 oysters were introduced.